Our food is addictive and our concept is fresh! 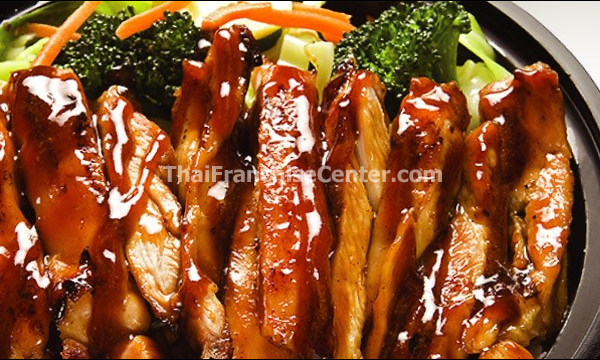 We, along with our customers, crave our mouth-watering dishes so much that a state of “Teriyaki Madness” occurs. 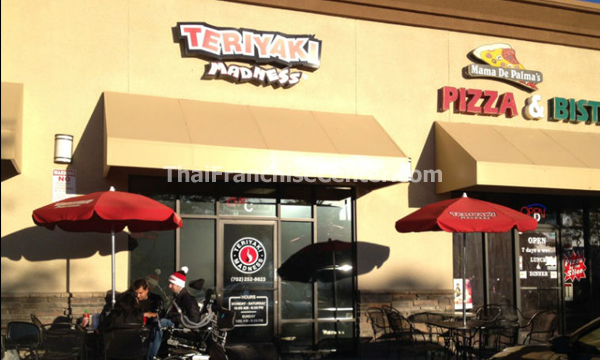 Teriyaki Madness is the frenzy experienced by our raving fans who desire to have our dishes daily. Some even dine at our restaurants two to three times a day. Now that’s madness and we love it! Founded in 2003 by Rod Arreola, Alan Arreola, and Eric Garma; two brothers and a cousin who grew up in Seattle, WA, where Asian restaurants are on nearly every corner. We were raised on the flavors of Teriyaki cuisine. After establishing successful careers in business working for big corporations, we dreamed constantly of owning and operating our own business. We knew we wanted to do something fun, offer something that people would love, and create something really different. In 2003 we finally stopped dreaming and went ”ALL IN”! Heading for Las Vegas, we started our own Teriyaki restaurant concept similar to our favorites at home in Seattle. Our belief was that people and families with busy lifestyles would love a fresh and unique quick casual concept that not only had great tasting food, but was healthy for them too. The response from our customers has been tremendous to say the least and all of our expectations have been exceeded. The success we have experienced and the passion we have for Teriyaki, led us to the decision to start franchising our concept in 2005. With multiple stores already in operation and many more scheduled to open, we are so excited about being able to ”Share the Madness” with more customers nationally! Thanks for your interest and we hope to see you soon at a Teriyaki Madness near you! In 2003, Rod, Eric, and Alan decided to leave the rainy Northwest and head to Las Vegas, the land of sunshine, fast times and great food. Friends and family told them they were crazy to try a new restaurant concept in another city; they told them it was madness! But the three Vegas-bound boys knew their secret recipe, that had proven itself for years in the teriyaki houses in Seattle, would be a mad success. And they knew that if they could make it in Vegas, with its celebrity chefs and gourmet food, they could make it anywhere. Not to mention, it was Vegas! And so, Teriyaki Madness was born! The ﬁrst restaurant opened to long lines that stretched around the block. Word spread quickly that the food was delicious, big enough to ﬁll any appetite, healthy, and full of bold ﬂavors. Soon, the beautiful people of Las Vegas were ﬂocking to the new restaurant. And the boys from the Northwest were quickly on their way to success!